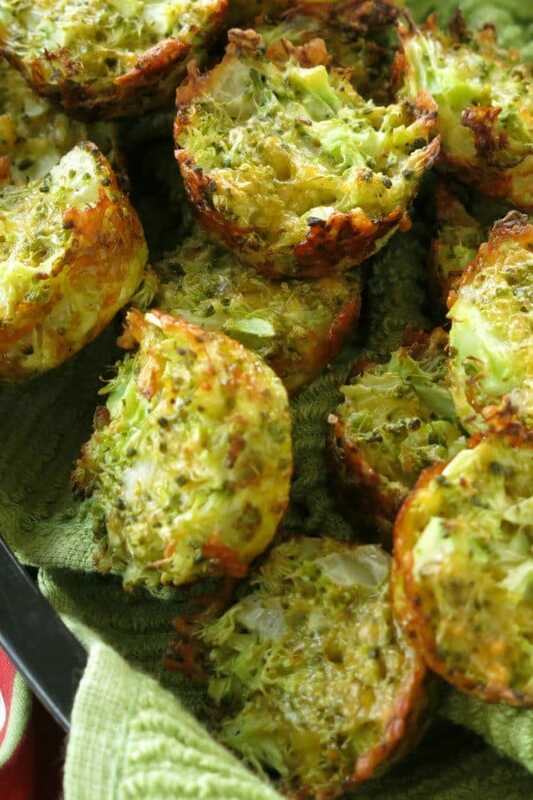 Broccoli Muffins with cheddar cheese and egg have just 4 ingredients that don’t include grains or flour! They’re a low-carb, keto-friendly snack or side dish. Are you ready to take a break from making those tasty little Cauliflower Muffins? 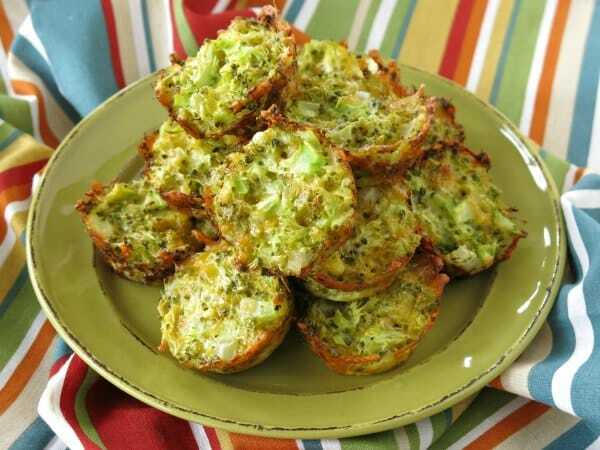 If so, let me introduce you to our newest obsession: Broccoli Muffins! They’re also gluten-free and have just 4 ingredients. They use broccoli rice instead of cauliflower rice and cheddar cheese instead of mozzarella cheese. When it comes to vegetables, it’s all in the way you package them and what you name them! “Rice” the broccoli and give it a clever name like broccoli bites or tots and I guarantee you won’t have any left. It’s Public Relations 101. 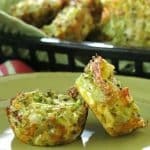 These are NOT traditional muffins, but these Broccoli and Cheese Muffins do cook in a muffin tin, just like Zucchini Egg Muffins and they are delicious! Broccoli that has been “riced” or finely chopped. Sharp Cheddar Cheese that has been shredded. This is a traditional pairing that you can’t go wrong with. However, any shredded cheese should work. Onion that has been finely diced. White, yellow, Vidalia…any type of onion will work. Egg – use a large or extra large egg that has been lightly beaten. It helps hold everything together. Salt and Pepper to taste. We use a dash (1/8 teaspoon) of each and sometimes none at all. 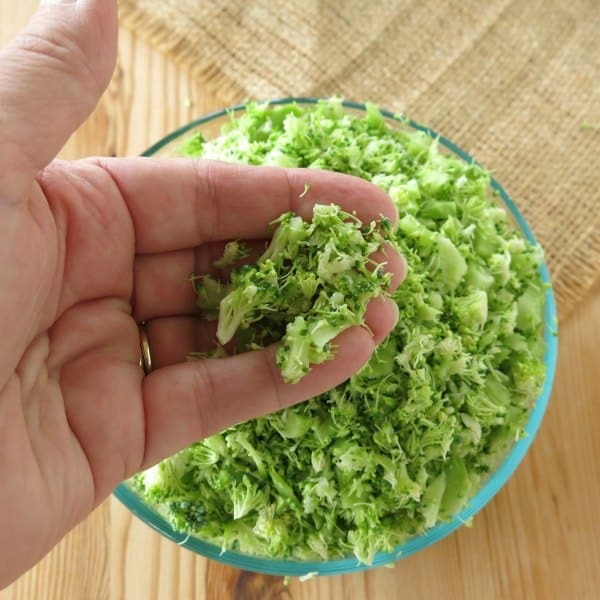 To rice broccoli, cut it into bite-sized pieces and pulse it several times in a food processor until it’s finely chopped. Broccoli stalks may be riced too. Use a vegetable peeler to strip away the outer layer of the stalk and then cut it into smaller segments before adding it to the food processor. You can also use the stalks to make Broccoli Stalk Salad instead. If you don’t want to pull out an appliance, use a knife to chop the broccoli florets into small pieces. You will most likely end up with some leftover “rice.” Save it for another recipe such as Cheesy Cheddar Broccoli Rice by Wholesome Yum! Use regular or mini-sized cupcake tins to make this recipe. Spray the wells with non-stick cooking spray first. There’s no need to use paper liners. But, if you do, spray them too. Overfill each cavity of the muffin tin with the broccoli mixture and then press it down. The muffins will become smaller as they bake. Prepare broccoli, cheese, and onion ahead of time and this recipe can be assembled in a few minutes. You can enjoy Broccoli Muffins for breakfast too. If you happen to have any leftovers or want to plan ahead they freeze well. 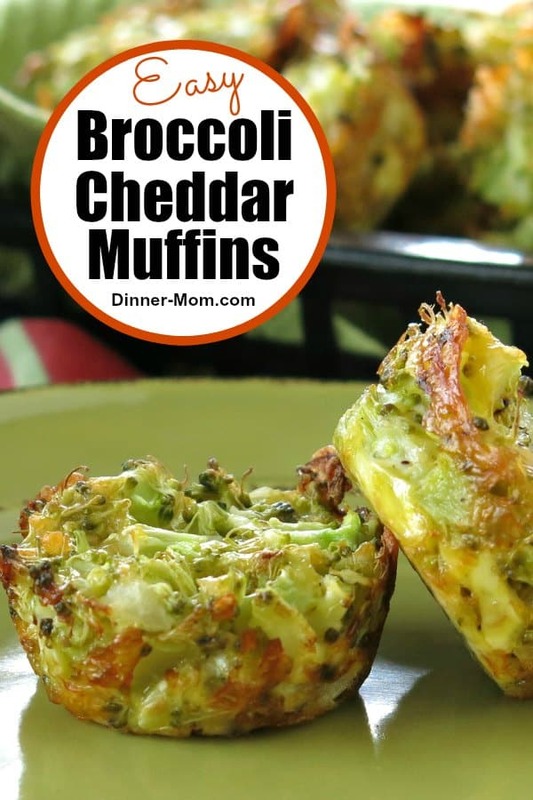 Broccoli Muffins with cheddar cheese and egg have just 4 ingredients that don't include grains or flour! They're a perfect low-carb snack or side dish. To prepare broccoli rice, wash and thoroughly dry broccoli. Cut florets from stalks. Peel outer layer of flesh off of stalks and cut into small pieces. Add everything to a food processor and pulse several times until broccoli is finely chopped. Measure out 2 cups of broccoli rice. Use any excess broccoli rice for another purpose. Mix 2 cups of broccoli rice, onion, cheddar cheese (and salt and pepper if using) in a large bowl. Stir egg into broccoli mixture. Scoop mixture into mini or regular muffin tins coated to prevent sticking. The yield will be about 24 mini muffins or 8-9 regular sized muffins. Note: the mixture settles as it cooks so overfilling the muffin tin is ok. However, you may end up with less than the quantity specified. Bake for 20 minutes or until firm and starting to brown. The perfect way to get my family to eat more veggies! So tasty! Love this idea! Healthy and delicious!